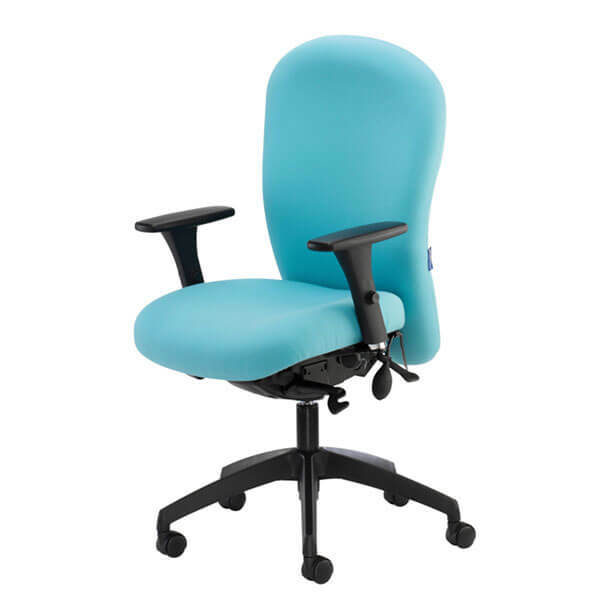 The Office Backcare Centre supplies high quality and supportive office chairs to help with correct posture and to address the increasing problem of back pain in the workplace. 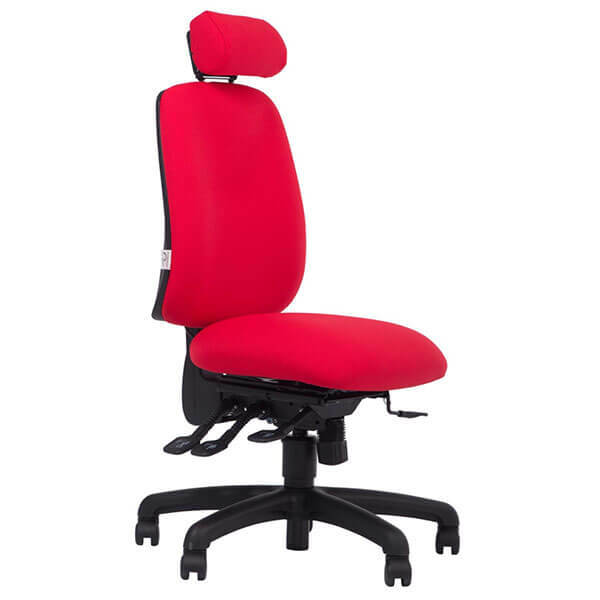 At our Cheltenham showroom we display a wide range of chairs to ensure the best possible solution for each individual. We have selected a few examples below to show a brief outline of our superb chairs. 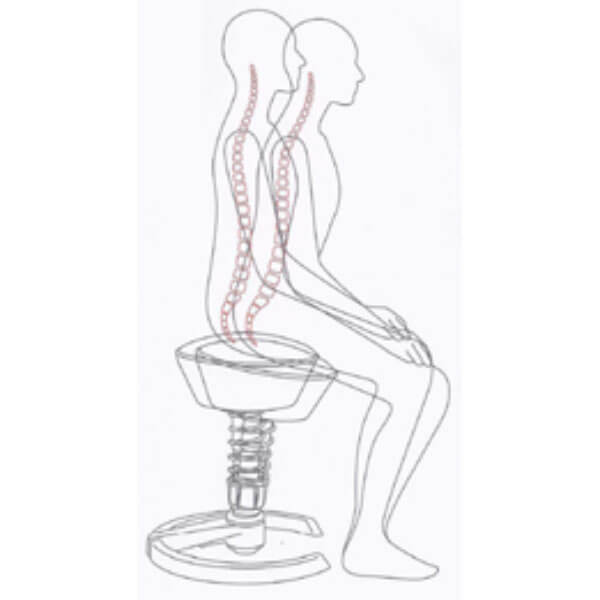 We are here to give best advice on seated posture and to help you make the right choice. Please allow plenty of time for your visit and we strongly recommend making an appointment in advance. 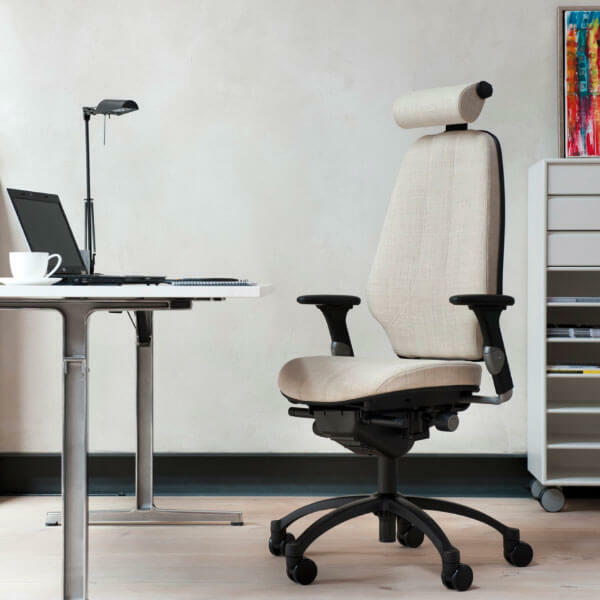 The flexible height ranges of the Capisco and Capisco Puls make it easy to shift between sitting, standing and perching. 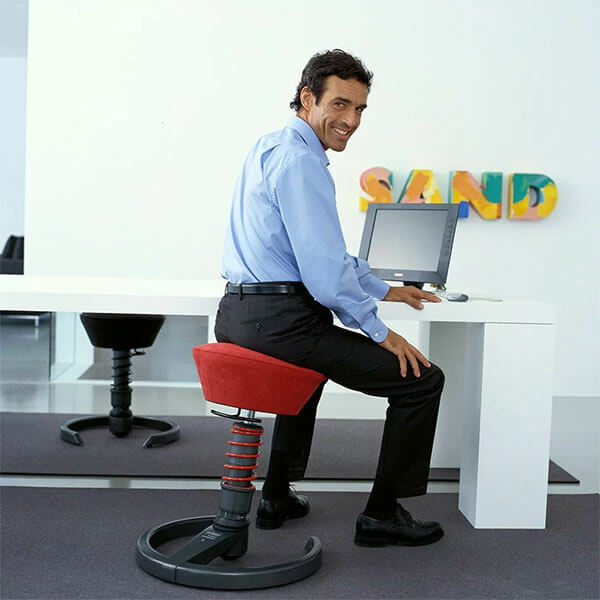 Frequently varying your position this way provides a unique alternative to changing between sitting, standing and perching positions. By moving more you will feel energised and therefore more focused on the task at hand. 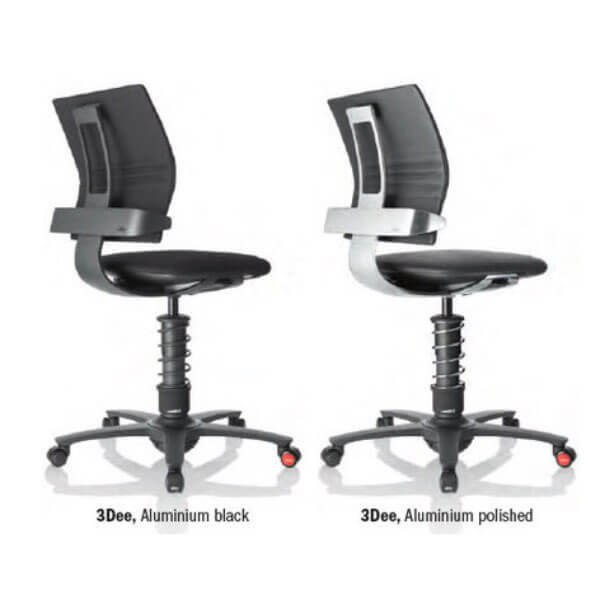 The unique saddle seat of both chairs enables balanced sitting, a sitting posture that inspires various positions. With this posture the lumbar curve is preserved, the hip joint angles are open, and muscles are well-balanced and relaxed to eliminate the strain on your body that is often associated with conventional sitting. The chair encourages creative, alternative sitting positions. Forwards, backwards or sideways. The Hag in balance technology and intuitive controls, enable users to be at ease with minimal effort. On a Hag chair, the front edge of the seat tilts upwards when you lean backwards and down when you lean forwards, this stimulates ankle movement, in turn activating lower leg circulation and enhancing circulation and throughout the body. The result is greater energy and improved efficiency at work. 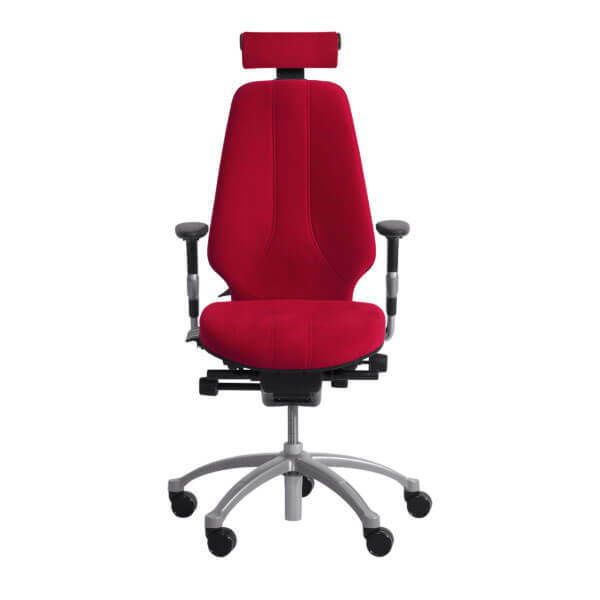 The Sofi chair is available in mesh back or fully upholstered with adjustable lumbar support as standard. At the core of the Hag Futu is the signature Hag in balance movement mechanism, which ensures that you always sit in balance. Being in balance allows you to tilt backwards and forwards with ease, enabling you to naturally shift position as part of your everyday workflow. This encourages better blood circulation due to increased leg movement, and helps you feel more energised during long working hours. 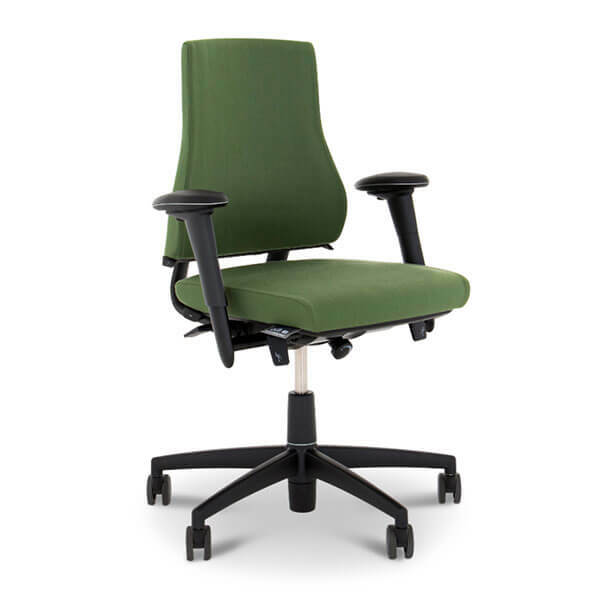 The Hag Futu comes in a mesh or fully upholstered back with optional lumbar support. RH Mereo 300 has a large classic square back and comes as standard with castors for carpeted floors and base in grey lacquered aluminum. 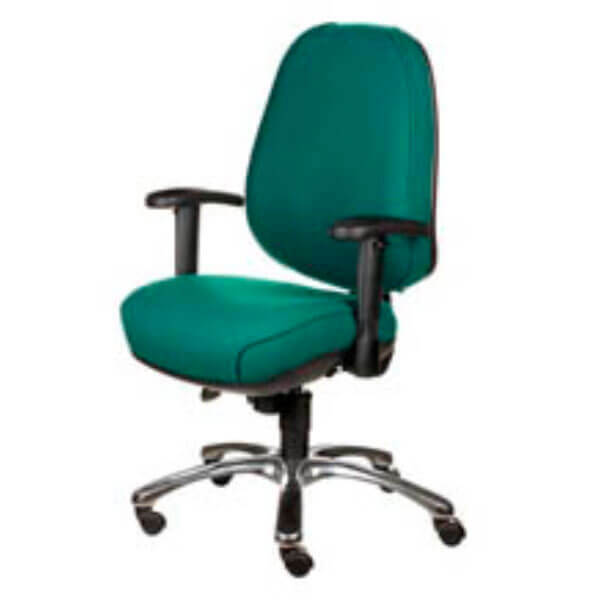 It can also be enhanced with a range of options such as armrests and coat hanger. 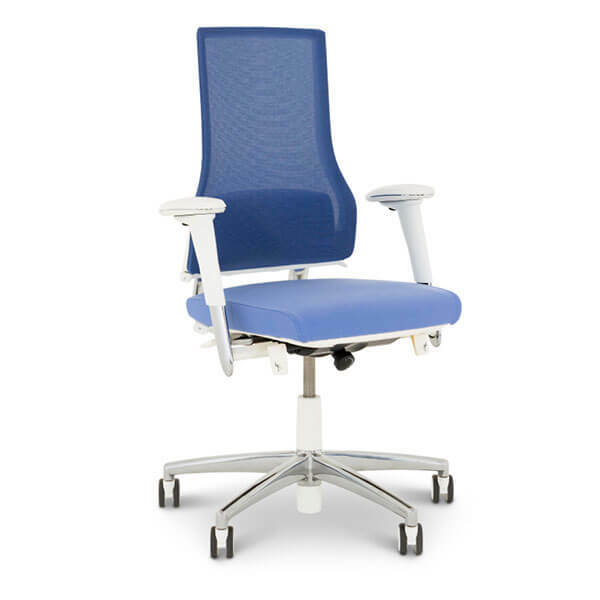 The RH Logic 400 has been based on two principles, upright posture and active sitting. The ‘two-point principle’ of upright posture and active sitting help improve breathing and circulation and stimulates the muscles. 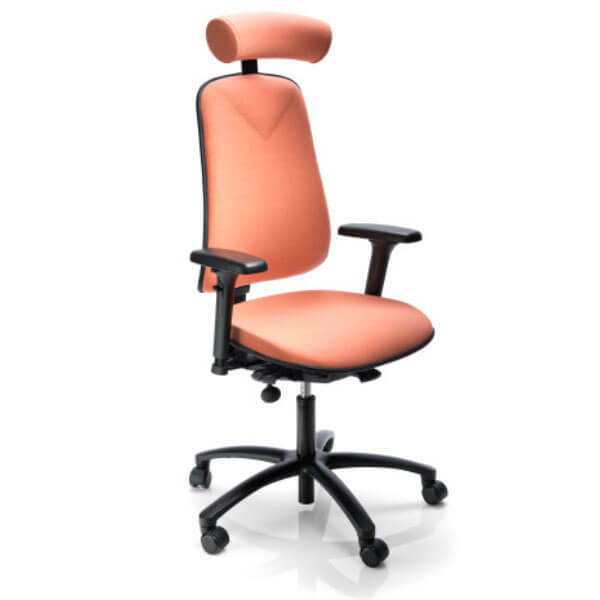 The one to one tilt action ensures that lower back support remains constant, whatever position you are sitting in. 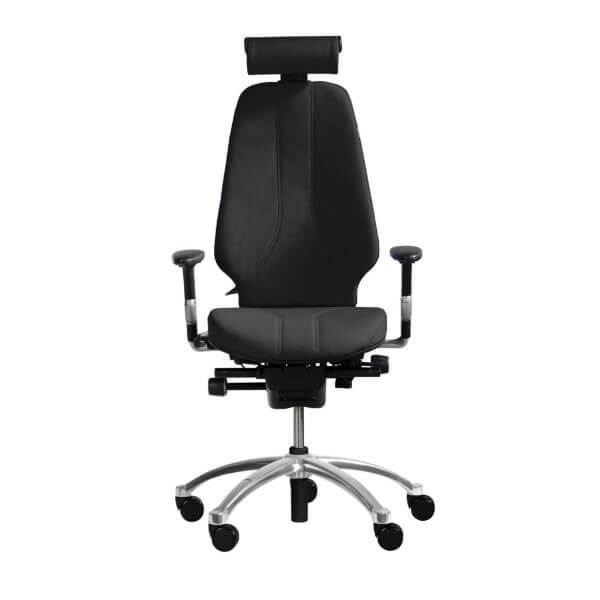 The RH Logic 400 ergonomic office chair includes an inflatable lumbar support as standard as well as a seat slide, independent back rest angle adjustment, seat height, graphite aluminium base and a 10 year guarantee. 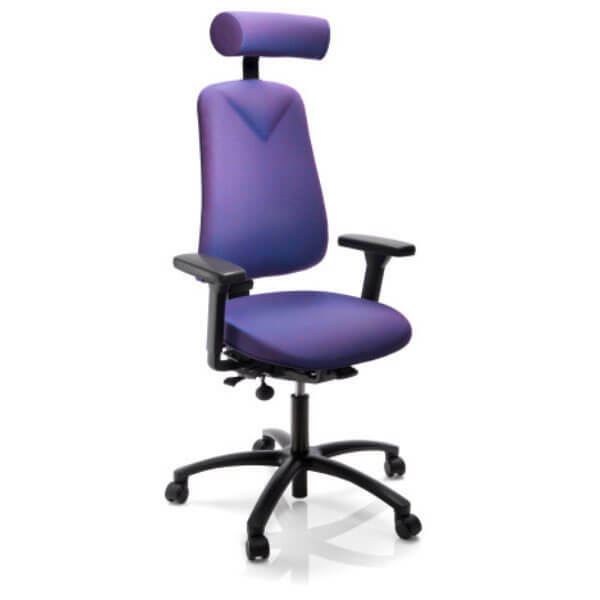 Posture max® is a brand new concept in seating that is designed to ensure total body support. 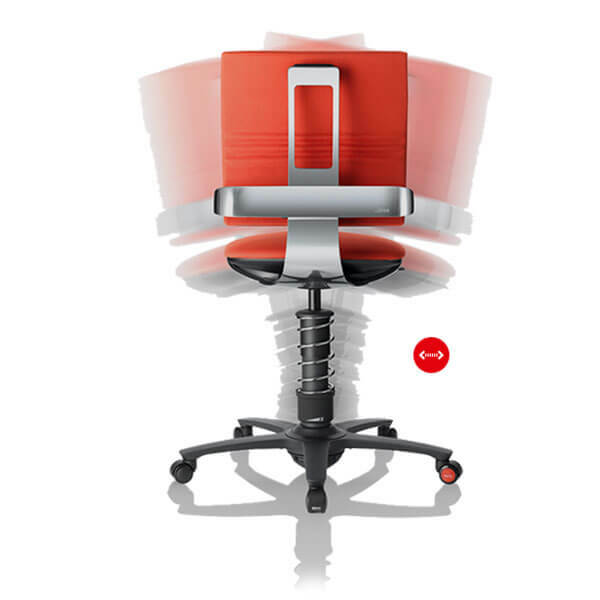 Utilising a unique combination of features, including heat reactive foam that moulds to the shape of the user and inflatable air cells to support the lumbar region, Posture max® provides maximum levels of comfort and helps to avoid posture and back problems so often caused by poorly designed seating. 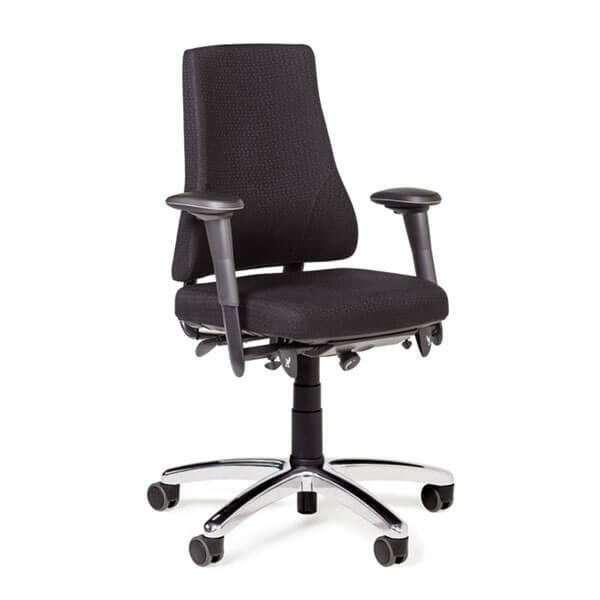 Posture max® is ideally suited to 24 hour and multi user applications. 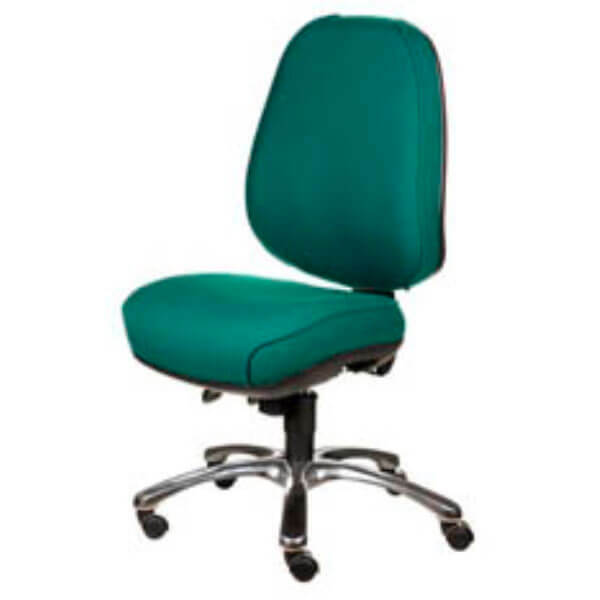 Our Orthopaedium seating is specifically designed for back pain sufferers or as a preventative measure. 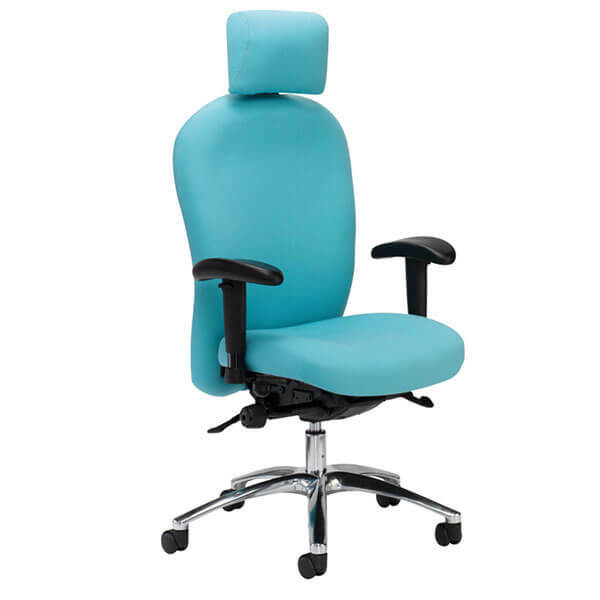 Having incorporated a unique coil sprung assembly into the seat of the Orthopaedium chair, we have produced a comfortable range of orthopaedic operator chairs that actually works for back pain sufferers. Features a fully adjustable synchronous rocking knee tilt mechanism. 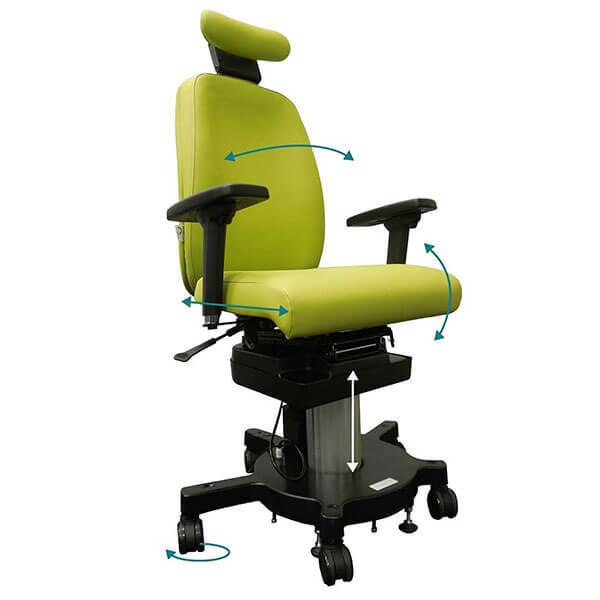 Separate controls allow the user to individually set the seat angle and backrest angle. Standard features on all models include seat depth adjustment control, inflatable lumbar support & visco-elastic memory foam seat pad. 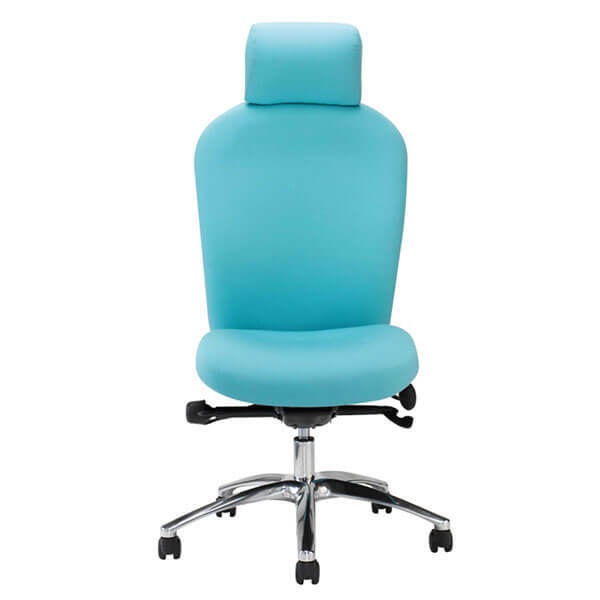 Chair dimensions can be customised and individual specific support requirements and adaptions added, including split seats and movement locks for wheelchair users. Adapt 600 range is certified to ‘Severe’ level and is suitable for 24 hour use. The foremost part of the seat is fixed, so that only the rearmost part moves with the back mechanism. The result is optimum support and comfort when sitting passively and correct activation of back and stomach muscles when sitting actively. 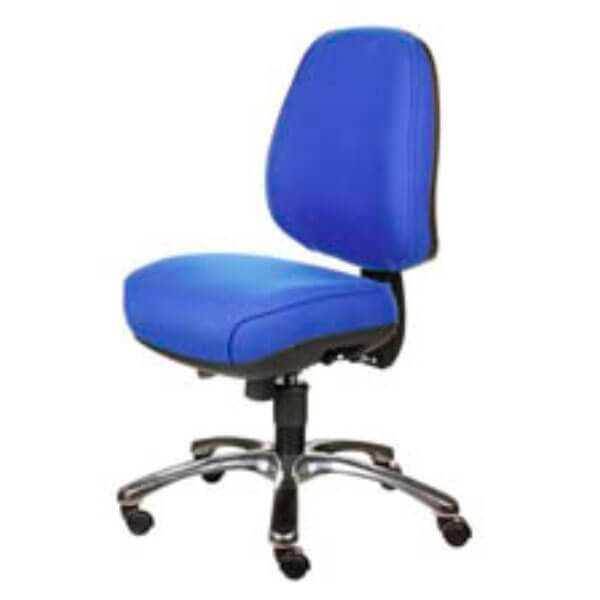 Arms are fixed to the foremost part of the chair and do not move with the mechanism which ensures optimum arm support in any position. The split seat also enabled the feet to keep in contact with the floor at all times. Office chairs are numerous. But which one gives us back the natural freedom of movement we have lost through years of daily office life? 3Dee. 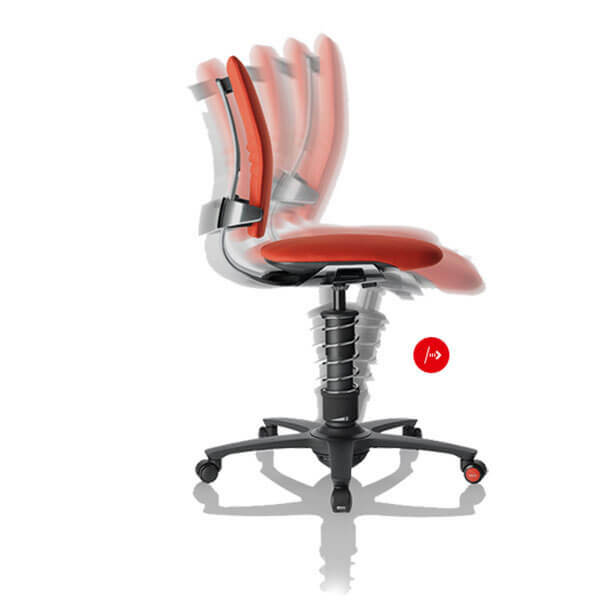 The movement of the new ergonomic 3Dee office chair helps to improve concentration and performance. How does the Swopper work? 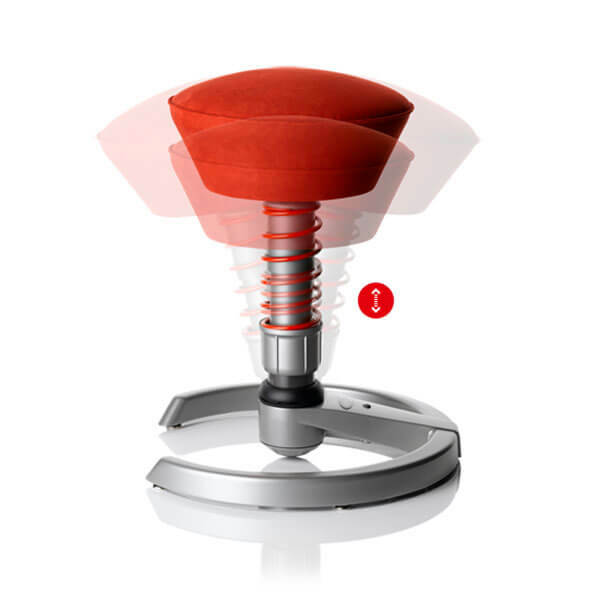 Quite simply: the sprung seat with all round movement reacts to and follows each movement you make when sitting on it. This exercises, minimally but effectively, the numerous groups of muscles in your back, abdomen and legs. Active muscles cannot tense up; they are strengthened and remain fit. The same applies to the intervertebral discs that are constantly loaded and relieved by the numerous involuntary changes of position and so are kept well nurtured and resilient. 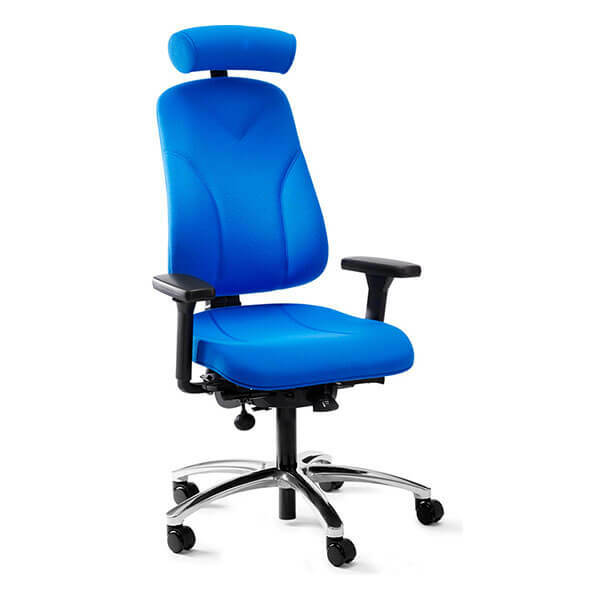 Hoganasmobler office chairs are designed and built in close collaboration with ergonomists, orthopaedists, physiotherapists and industrial designers. 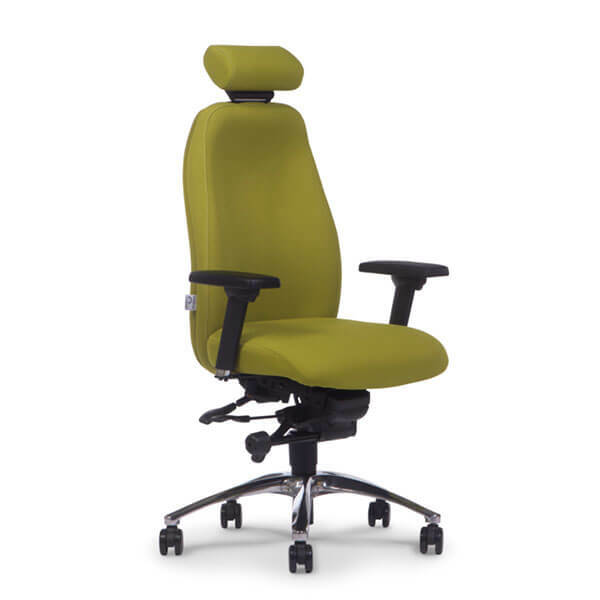 Sit anyway you like – upright, poised, reclining or stretched out – all without touching a single lever!